Thousands of 2019/2020 jamb candidates have been asking me if there is special center for 2019/2020 jamb. 2 Is jamb special centers still in existence? 3 Is Jamb Expo Center Still Possible? 4 Jamb Expo: What Is The Way Forward for now ? 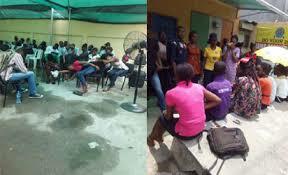 Jamb special centers or miracle expo centers are Specializes places where everything happens. Here candidates are help to perfect their way into having high score. In short in most miracle centers in invigilators are handsomely paid so as to give ways to candidates to write. Is jamb special centers still in existence? Before the introduction of cbt, we have what is called the paper type in which answers are sent from Abuja down to the examination halls all over Nigeria. Well then it was easy to distribute answers to candidates because questions paper where easily open by those who transport them down to states across Nigeria. We saw rise of different individuals who specialize in distribution of answers via Facebook and other blogs. Most centers even distribute the answers a day before the exam, Jamb answers was really easy to get because there were no tight measures in place then. With the introduction of jamb cbt exams everything changed. Jamb exams are no longer written in school that is no well protected, in fact all centers where asked to sign an agreement with jamb and of a truth they are all monitored. Any jamb center that fails to comply with all directives from jamb are usually blacklisted. Jamb has introduced new measures to check fraud and expo in any form. They have been able to install security cameras at every cbt centers which also transmit daily happening to their control room in Abuja. Is Jamb Expo Center Still Possible? Due to the strict measures jamb board has put in place, it’s unlikely that jamb expo Center/miracle center can operate successfully. Each year after jamb exams, the Joint Admissions and Matriculation Board JAMB usually send officials to close down cbt centers they suspected to have tried to manipulate things. Some where blacklisted why others where temporarily ban. As at today No CBT center will like to risk their investments and accreditation for expo. Jamb Expo: What Is The Way Forward for now ? The only way forward is for you to depend on your self,don’t depend on anyone. TRY as much as you can to study your books, never play with jamb past questions and answers for all subjects.